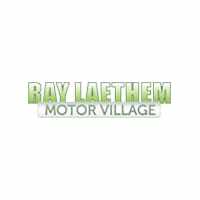 2019 RAM 1500 | Ray Laethem Chrysler Dodge Jeep Ram " "
The Ram 1500 is a fully equipped work truck that balances performance, dependability, and comfort all into one package. The 2019 release features very capable towing features and several trims. 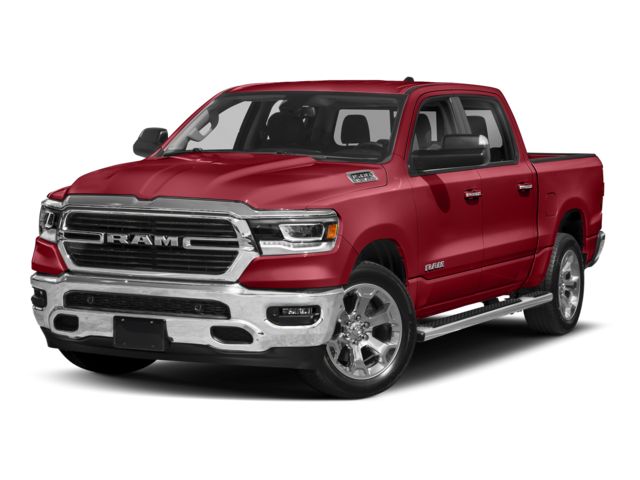 The 2019 Ram 1500 has six different trim levels with multiple key visual differences. The trims listed are the Tradesman, Big Horn, Rebel, Laramie, Longhorn, and Limited. The Tradesman and Rebel trims have black bumpers, while all other trim levels feature chrome bumpers. For headlights, the Tradesman and Bighorn have halogen lights, the Rebel and Laramie have LED lights, and the Longhorn and Limited have premium LED lights. The Tradesman trim does not include any fog lamps while the other trims have either LED or incandescent bulbs. Looking at the back of the Ram, the Rebel trim has the letters R-A-M, and all other trims have the ram’s head emblem. The Tradesman features a single exhaust while the other five trims are equipped with dual exhausts. The Tradesman trim is also the only trim with 18-inch steel wheels. The other trims have either 18-inch or 20-inch aluminum wheels. There are two powerful engine options for the 2019 Ram 1500. The 3.6-liter Pentastar engine with eTourque puts out a substantial 305 horsepower and 269 pound-feet of torque. The 5.7-liter V-8 Hemi and V-8 Hemi with eTorque engines ramp it up to an impressive 395 horsepower with 410 pound-feet of torque. The V-8 Hemi with eTorque has more towing capacity than the standard V-8. In the 2019 model release, the Ram 1500 breaks new ground. The model now boasts a best-in-class towing rating of up to 12,750 pounds, besting the previous best by 250 pounds. Shock absorbers and heavy-duty coils help give the Ram 1500 a smoother ride on any terrain. In addition to the impressive towing capabilities, the Ram 1500 also allows for just over 2,000 pounds of payload. The newly refined interior provides a revolutionary look into the future of car driving. The staggering 12-inch touch-screen is 3.6 inches larger than the standard 8.4-inch screen that is on its way to becoming standard. In addition to the larger screen size, the interface allows you to split the screen and show two different windows at once. The console is also ready for SiriusXM radio and Apple CarPlay. The center console also has a USB station for keeping devices charged on the road. Other features include under-seat storage and various storage cubbies throughout the cabin. The rear passenger seating area is also flat for added comfort. The 2019 Ram 1500 includes a full suite of driver assistance and safety features. The monitoring systems have also been updated to detect if the truck is pulling a trailer, and includes it in its blind spot and lane change recognition. Other safety features include adaptive cruise control which will adjust the speed of cruising based on the vehicle ahead of you. The frame is built from high-strength steel, and the wheels have the largest brakes in their class.